The membrane is located downstream from the point of regulation so that liquids caused by the Joule-Thomson effect are eliminated prior to flow into the heated tubing run. Welker Engineering Introduces Three New Products! 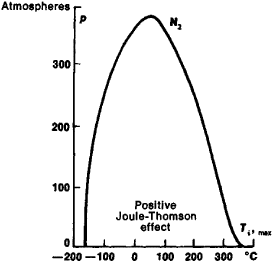 In the case of hydrogen, however, that temperature is quite low, so that attempts to liquefy hydrogen by means of the Joule-Thomson effect would fail if the gas was not sufficiently cooled to begin with.